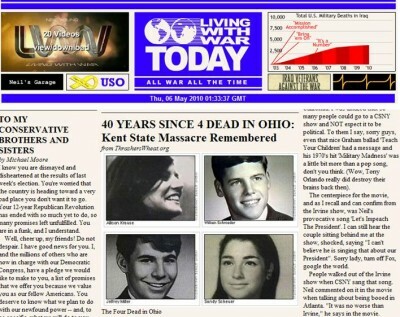 For the 40th anniversary of the Kent State tragedy, Neil Young made a statement on his "LIVING WITH WAR TODAY" website on the song "Ohio" he recorded with Crosby, Stills, & Nash that went on to become an anthem to a generation. 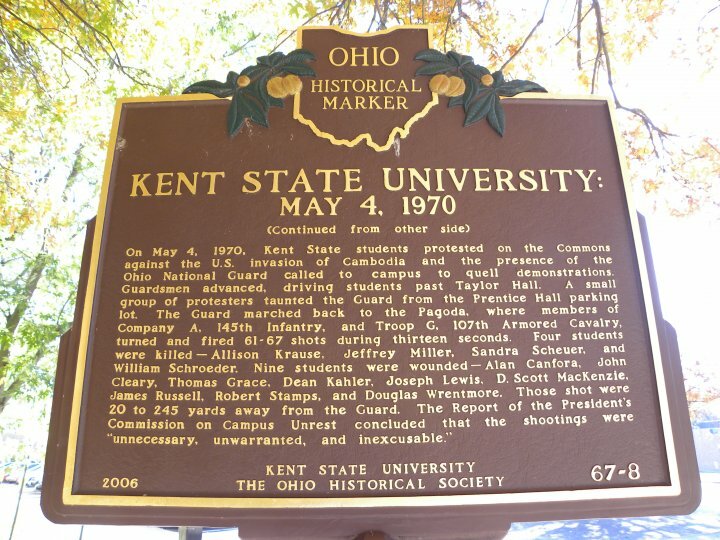 On Monday, May 4, 1970 at 12:24 PM, twenty-eight Ohio National Guardsmen began shooting into a crowd of student anti-war protesters at Kent State University. 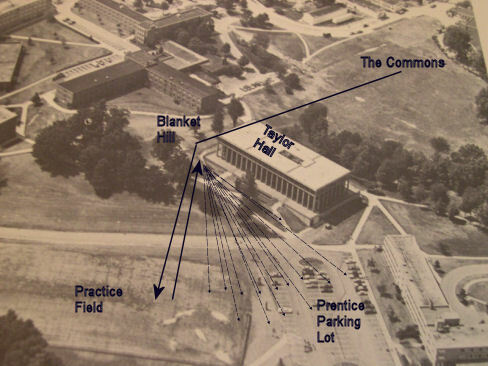 In thirteen seconds, the guardsmen had fired sixty-seven rounds and four students lay dead. 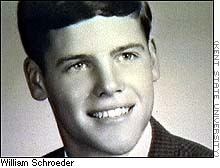 Immediately after the Kent State shooting (sometimes referred to as the "Kent State Massacre"), Neil Young composed the song "Ohio" after looking at photos appearing in Life magazine. 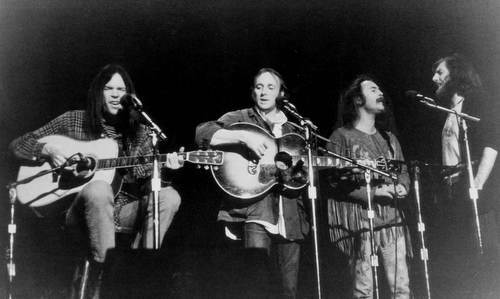 Crosby, Stills, Nash, and Young went to the studio and recorded the song which was released to radio stations shortly after the killings. 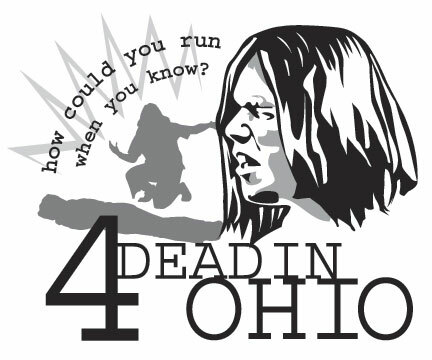 Soon, the lyrics "Four dead in Ohio" became an anthem to a generation. "It's still hard to believe I had to write this song. It's ironic that I capitalized on the death of these American students. Probably the most important lesson ever learned at an American place of learning. David Crosby cried after this take." "What if you knew her and found her dead on the ground?" The four killed and nine wounded were all full-time students. The song 'Ohio' -- a response to the Kent State University tragedy -- is "the most evocative pop-culture response to a defining moment in American history". 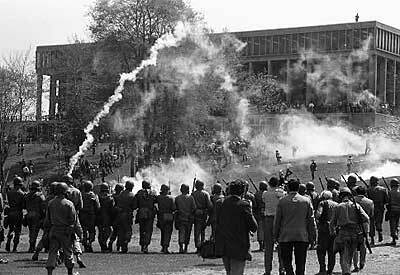 The events of May 4, 1970 have been extensively detailed since that day and there still remain many unresolved inconsistencies surrounding the activities of the Guardsmen and students. 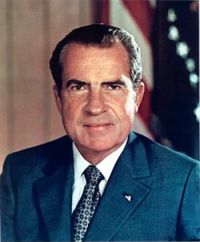 Crosby once said that Young calling Nixon's name out in the lyrics was 'the bravest thing I ever heard.' 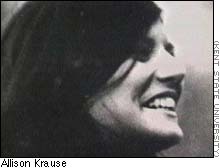 Crosby noted that at the time, it seemed like those who stood up to Nixon, like those at Kent State, were shot. Neil Young did not seemed scared at all. 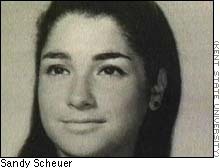 "Four young men and women had their lives taken from them while lawfully protesting this outrageous government action. We are going back to keep awareness alive in the minds of all students, not only in America, but worldwide…to be vigilant and ready to stand and be counted… and to make sure that the powers of the politicians do not take precedent over the right of lawful protest." Start and end sequence of a 1 hr documentary special by Germany's WDR TV. Coverage originating from major U.S. networks. TV Teams of NBC, ABC and CBS had been present. 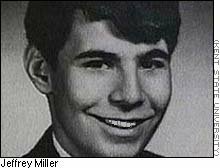 YouTube Video - In 1970, in response to Nixon's widening of the Vietnam War into Cambodia, students throughout the US protested. 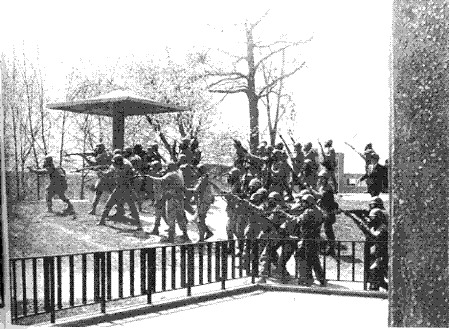 Nixon sent the National Guard to restore order to the Kent State campus. The resulting consequences changed the course of the war. 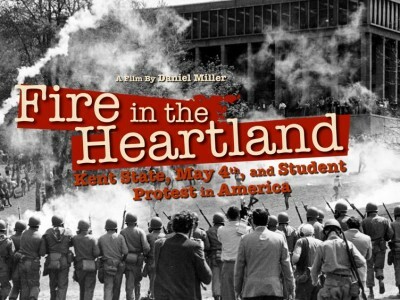 Student Video Project of Kent State Massacre May 4, 1970. The youth do protest today. In the beginning of the Iraq War, there were some huge protests. My dad marched with me on Washington and told me it reminded him of May Day. In the late nineties, there were some pretty significant anti-globalization protests. There are tons of small - but often effective - protests in the environmental movement, and a huge, annual protest at the School of the Americas. When I was in college, there was a wave of succesful living wage campaigns on college campuses, including mine. But I would suggest two reasons we don't protest as often - or as big - as our parents: First, I'd imagine we're more cynical than the boomers were. Second, the mainstream media these days ensures that even the most succesful protests get little air-time. It always vastly underestimates the numbers, and brands the entire event by focusing entirely on the most extremist, least sympathetic factions. In college, I saw this happen in every large-scale protest in which I ever participated. This lack of coverage contributed to the perception that we don't protest, which perhaps ultimately became a self-fulfilling prophesy. Given the futility of our protests, I for one stopped protesting in the old-fashioned way and started blogging. Maybe we just weren't doing it right, but civil disobedience, like democracy, doesn't work without a functioning press. Of course, I'd be open to suggestions from the veterans of the civil rights movement and anti-Vietnam movement. But, to no baby boomer in particular, I have to ask, why aren't you on the streets again? Or are you? A revised take on Neil Young's sixties anthem, "Ohio", performed by the Mellow Yellow Experience and featuring Congo-born rapper, Cadoux Fancy of Mic Criminals. 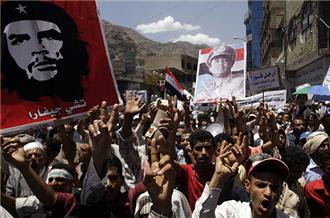 As violent changes sweep the Middle East in 2011, the comparisons to the U. S. protests in the 1960s can not be avoided. Wael Ghonim is right: this is "Revolution 2.0"
ps - riddle us this... The American Dream: how could something so good, go so bad, so fast? Back then the students and young people were passionate about their beliefs, and were active in their demonstrations. The music of that era holds so much dissent and frustration over the decay and corruption of our government and of course anti war, anti hate. We have become our parents. We are what we protested against. We had such huge and wonderful plans on just how we would change the world when we got our chance. We have squandered away our ideals. We forgot all about how we were always gonna love each other. That there was no comprehensible way we could see ourselves involved in war, corruption, Enron greed, hate, racial or religious persecution.....we forgot it all. 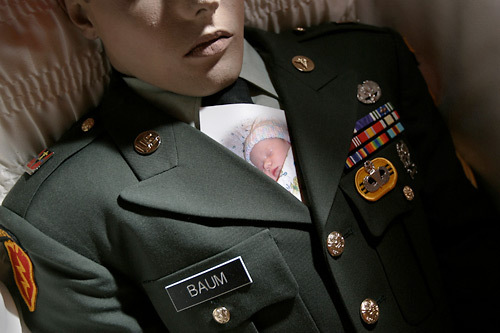 Where is the mindset that put the flower in the gun barrel of that soldier? So many have given so much. Others have had it taken from them. We probably should have spent a few more minutes with our kids when they were younger before handing over the reins of power. 'Cause it is gonna be one of them who pushes the wrong button. One of our own kids. Maybe we should have shared with them some of our long ago dreams....the ones we forgot about. Hey, speak for yourself, man! I see plenty of young and old people today who are just as passionate about their beliefs and just as active in developing sustainable outreach programs that provide for human needs as there were during the days before the Kent State/Jackson State Massacres. We will never control the actions of what other people do or don't do. We only have control over our own actions. That mutual collectivism that inspires progress within societies begins with you. I just passed "Zuma" on the way into Detroit from Ohio for the show tonight. I got so excited, I couldn't help but honk my horn a few times as we passed. I hope I didnt wake home up or anything. I got the chills knowing that he was RIGHT THERE in the next lane. Sitting about 12 rows back at the fox tonigt. Can't wait! Enjoy everyone!! 5/19/10 Buffalo - Thanks for the refresher Trasher. That's a great angle and recording of a very memorable performance. Hadn't seen or heard that in a while.